In northern Mali, Al-Qa’ida in the Islamic Maghreb (AQIM) achieved an unprecedented success in 2012. For the first time the group and its allies controlled and governed major cities. This success was short lived when their attempt to advance southwards in Mali rushed a long-anticipated foreign military intervention led by the French. Since the French intervention in January 2013 hundreds of AQIM militants, and more importantly dozens of its leaders, have been killed. In addition, a large number of important logistical and arms caches have been discovered and destroyed. Furthermore, AQIM saw arguably its most popular leader in the Sahel, Mokhtar Belmokhtar, split from the organization and form his own group, al-Murabitun, with the Movement for Unity and Jihad in West Africa (MUJWA) in August 2013. Al-Murabitun remained faithful to Al-Qa’ida organization and its ideology. However, tensions at the leadership level and the rise of the Islamic State led to divisions within the group. In May 2015, a division of al-Murabitun led by Adnan Abu Walid al-Sahrawi pledged allegiance to Abu Bakr al-Baghdadi, the recognized leader of the Islamic State in Iraq and the Levant. In Algeria, AQIM lost five of its brigades to the Islamic State within a year. In September 2014 Jund al-Khilafa, an AQIM faction, defected from AQIM and pledged allegiance to the Islamic State, and a year later al-Ansar brigade in Central Algeria and the “Protectors of the Salafist Call” (Humat al-Da’wa al-Salafiya) based in West Algeria followed the same path. In July 2015, the al-Ghurabae brigade operating in Canstantine released audio also pledging allegiance to Abu Bakr al-Baghdadi. In June 2015, a brigade calling itself Ansar al-Khilafa, operating in Skikda is reported to have defected from AQIM and joined the Islamic State. These series of defections instigated debate on how much of AQIM remained to maintain its presence in the region. Simultaneously watchers began to wonder if AQIM would be able to sustain the rise in competition imposed by the Islamic State. AQIM and its leader Abdelmalek Droukdel (Abu Musab Abdul Wadud) are becoming increasingly isolated and the Islamic State are slowly beginning to have footprints in Algeria and Northern Mali, however; AQIM and its allies remain the main jihadist groups in both countries. Little is known about the size of brigades that defected from AQIM and pledged allegiances to the Islamic State, thus it is difficult to know the impact of these defections on AQIM writ large and to determine if there is any serious pressure on Droukdel to also pledge allegiance to Abu Bakr al-Baghdadi. For instance, according to an AQIM statement released on 05 September 2015, most of al-Ansar brigade remains faithful and loyal to Abdelmalek Droukdel. The statement also indicated the number of al-Ansar brigade members that pledged allegiance to Abu Bakr al-Baghdadi does not exceed 10. Jund al-Khilafa on the other hand has been crushed by Algerian forces and appears non-existent since the kidnapping and killing of a French tourist in September 2014. Algerian forces have killed several of its members involved in the killing, including its leader Abdelmalek Gouri on 22 December 2014. More recently, 26 Jund al-Khilafa militants were reportedly killed in April and May 2015. Brigades that pledged allegiance to the Islamic State in Algeria and Northern Mali have yet to match the rise and the attacks carried by their allies in Tunisia and Libya. It is undeniable that AQIM is facing major challenges in Algeria and Northern Mali, two of its strongholds in North Africa and the Sahel. AQIM lost five brigades in Algeria in one year to the Islamic State. In northern Mali, AQIM is facing ongoing French military operations, the presence of United Nations (UN) troops, and the return of Malian authorities. 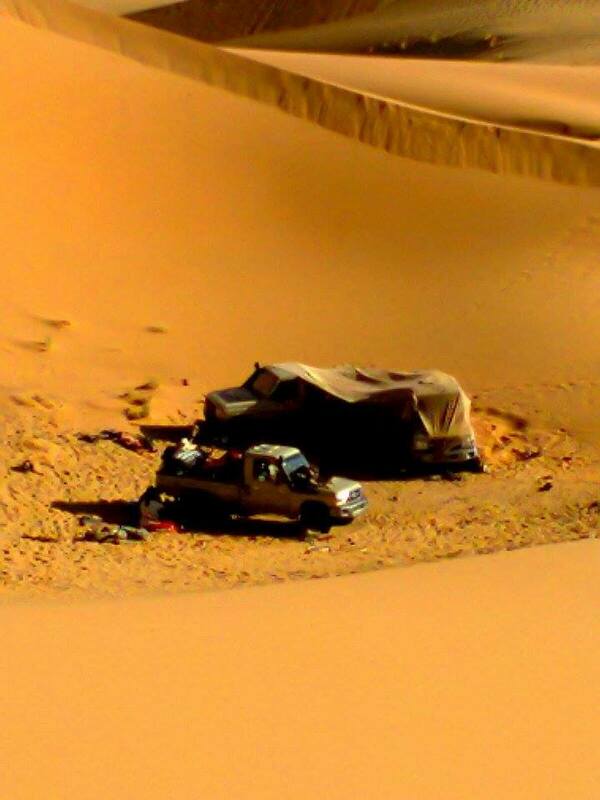 Suspected AQIM Vehicles in Northern Mali Desert. Image Posted on Facebook by AQIM Sympathizer. 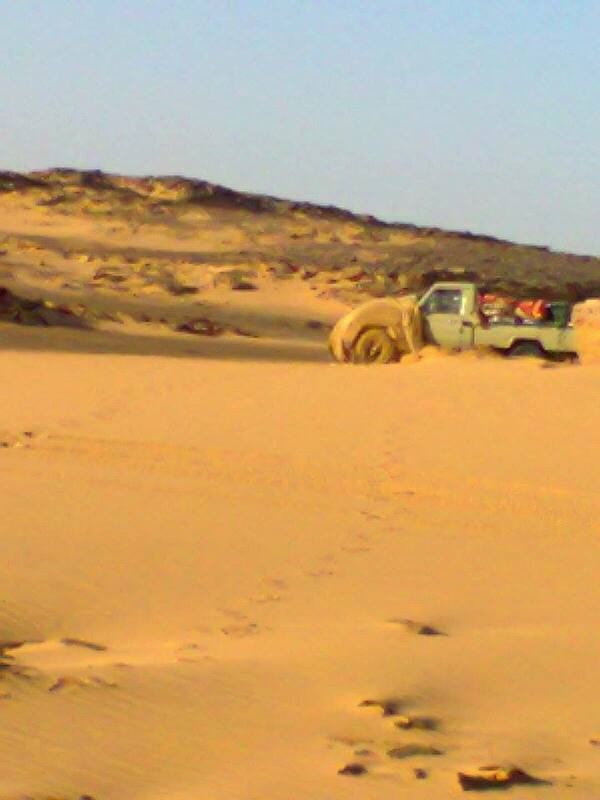 Suspected AQIM Vehicle in Northern Mali. Image Posted by AQIM Sympathizer on Facebook. AQIM might have been weakened and destabilized but should not be written off just yet, as the group remains present and operational. For instance, AQIM succeeded in carrying out attacks in Algeria and Northern Mali either on local authorities or UN troops present in Mali, something the new Islamic State brigades have yet to accomplish. In Algeria and Northern Mali AQIM maintains strong ties with local communities that will continue to provide an edge to the North African jihadist group. AQIM will continue to have unique access to vulnerable youth for recruitment and access to information about local authorities through for instance, unlike the Islamic State. Close ties to the local jihadist group Ansar al-Din in Northern Mali provide AQIM a distinctive access in the area. Furthermore, Al-Qa’ida in general, and AQIM in particular, received a significant boost when Mokhtar Belmokhtar confirmed his allegiance to al-Qa’ida and denounced the Islamic State in 21 July 2015. Belmokhtar was also appointed head of al-Murabitun by the Shurah Council, and the group distanced itself from Adnan Abu Walid al-Sahrawi who pledged allegiance to the Islamic State in May 2015.